Aidan O’Brien may have withdrawn Magician from the Epsom Derby, but he is still sending a five-pronged attack to attempt to upset 10/11 favourite Dawn Approach. The jockey bookings have now been announced for the quintet, with Battle Of Marengo looking O’Brien’s best hope. This is not only based on the Epsom Derby betting that has Battle Of Marengo as the 4/1 second favourite, but also because he is the choice of the trainer’s son Joseph O’Brien. However, there is certainly the argument that he should be ignored for either Ruler Of The World or outsider Festival Cheer. Ruler Of The World can be backed at 8/1 and is unbeaten in his two career starts. The fact he will be ridden by Ryan Moore may be significant, but it is his proven stamina that most makes him a tempting each-way proposition. Surely the best way O’Brien will feel to beat Dawn Approach is to test his expected suspect stamina and if a testing pace is set, Ruler Of The World looks one of the more guaranteed stayers on paper. Looking at previous renewals of the Derby, O’Brien does have a knack of seeing one of his big-priced entries sneak into the each-way money. Dylan Thomas was third at 25/1 in 2006, At First Sight was a massive surprise at 100/1 in second behind Workforce in 2010 and Treasure Beach was collared on the line by Pour Moi at 25/1 in the following year. The outsider from the yard worth keeping an eye on this time could prove to be Festival Cheer, who is available at 50/1. 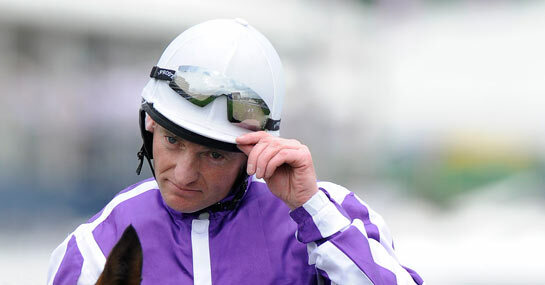 Seamie Heffernan was in the saddle on At First Sight and in his last two Derby appearances he has been on board the first O’Brien runner home, with the other being Fame And Glory in 2009. Furthermore, he rode Was to a 16/1 triumph in the Oaks last year. Heffernan has ridden in over a handful of Derby renewals in total too and so will be experienced in the subtleties of the Epsom course and Festive Cheer was certainly highly regarded after winning his Dundalk maiden. Festive Cheer has since been beaten a head in a Derby trial at Longchamp and assuming that he goes on a surface slightly softer than ideal at Epsom, he could be the darkhorse to monitor at long odds.